Long time readers of my blog know that we tried to introduce computer programming to our daughter several times with limited results. This week, however, she finally found something that she really enjoys – “Scratch”. 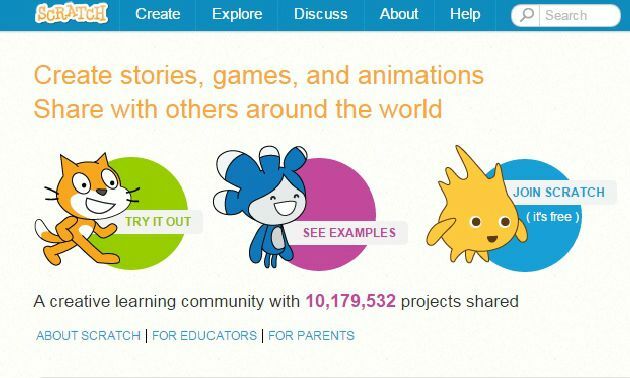 Scratch is a programming language and online community where you can create your own interactive stories, games, and animations -- and share your creations with others around the world. It is originated as a project of the Lifelong Kindergarten Group at the MIT Media Lab and absolutely free. It is designed especially for ages 8 to 16, but is used by people of all ages. Do You Need to Download Scratch? An older Scratch 1.4 was a downloadable software, but a newer Scratch 2 can be used completely online. 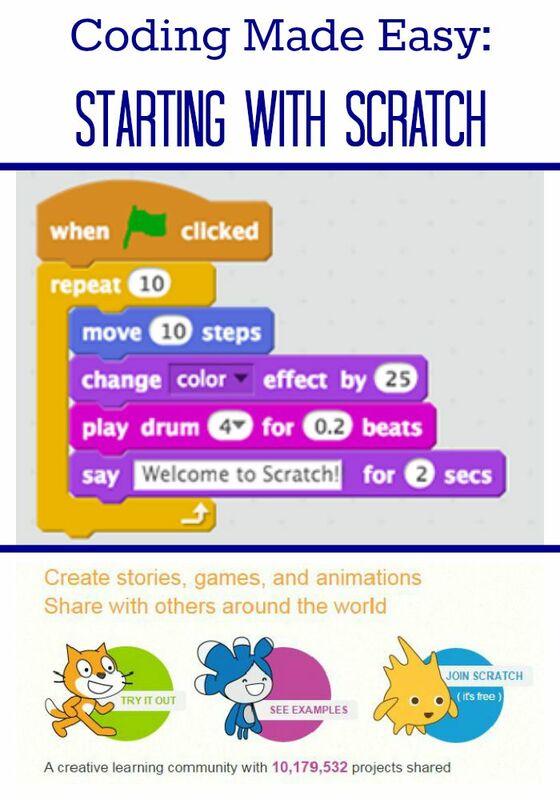 Our 8 year old Smarty is trying out Scratch 1.4 at this point, because we downloaded it some time ago, but my husband says that Scratch 2.0 is more powerful and allows more features for users who actually understand programming. What Does Smarty Love About Scratch? When we tried to get Smarty interested in programming, it took her several days (and several heated “learning sessions” with Papa) to animate a ball moving up and down a screen. She is still not fully understanding the concept of coordinates, and how they change with animation, so real animation techniques were over her head resulting in frustration and loss of interest. In Scratch, these complexities are hidden behind “sprites”, and making simple animations is amazingly simple. Smarty was able to “get it” entirely on her own through reading a tutorial and, most importantly, looking at dozens of projects available in the community. She loves not having to invent things “from scratch” (pardon the pun) but instead modifying other programs and being able to have something that works all the time. She feels a lot more successful, and this gives her an incentive to do more and to learn more as she tries different things in Scratch. After a few days she felt to brave enough to start something on her own, and now she is trying to work out a simple maze walking game. But What About Our Screen Time Rules? Yes, we made an exception for Scratch and let Smarty spend as much time on learning it as she wants, because my husband, who was a “computer head” as a teenager, believes that it’s not possible to learn coding without being able to completely immerse yourself into the task at hand without having to count minutes. We will see how long her fascination lasts – we might have to consider some parameters when she goes back to school in a few weeks. Are your kids learning to code? Where do they learn it? Follow my Pinterest board Online Learning and Apps. We like Scratch, too. 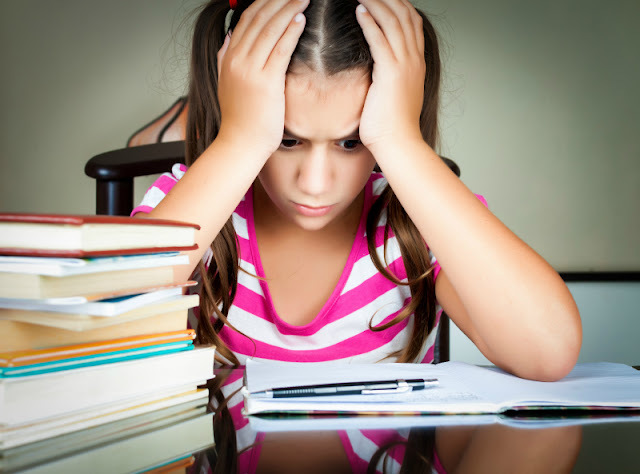 I agree that there are times when you should let the kids spend time on the computer without watching the minutes. I agree that there are times when you need to work without a time limit. 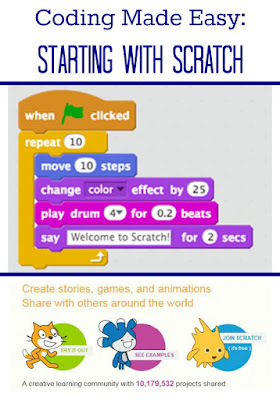 I think my kids would enjoy Scratch. I'll have to show it to Jeff, he hasn't liked any of the other programming ideas I've found, but he might like this one more. I am going to try this program out with my son.